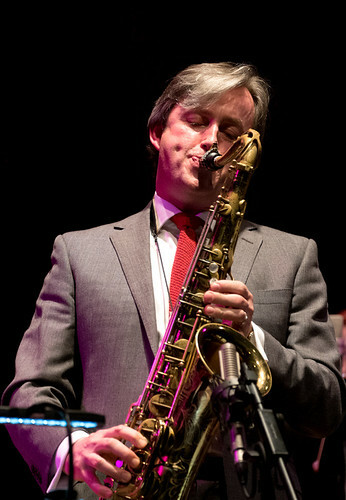 SNJO & Laura Jurd Play Kenny Wheeler’s Sweet Sister Suite. Edinburgh, April 2018. Another gig by the Scottish National Jazz Orchestra. Another blinder. Sometime I’ll be disappointed by an SNJO performance, but not it wasn’t this time. The first half was a performance of Kenny Wheeler’s Sweet Sister Suite. Commissioned by the SNJO early in their existence, twenty years ago, and they played it with Wheeler taking the flugelhorn part. I hadn’t discovered SNJO at that point. Which is a shame, because the music is tremendous. Eight sections but played without a break, Wheeler’s writing is full of depth and nuance – there were a lot of dynamics at play. And the excellent music showed off musicians as well as expected. 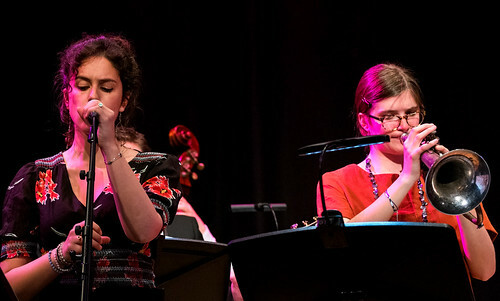 The SNJO were joined by Laura Jurd who played the flugel beautifully – every note clear and full of emotion. 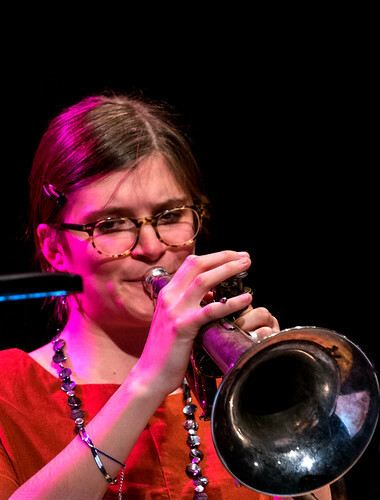 Jurd is familar with the SNJO – she played the trumpet part in Gil Evans’ Sketches of Spain a year ago (and was similarly impressive). 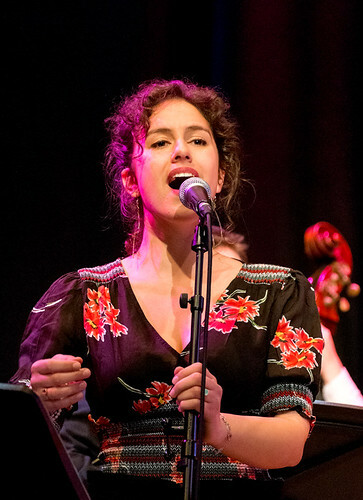 The vocal parts in Sweet Sister Suite, originally written for Norma Winstone, were taken by Irini Arabatzi: her vocalese (including some long, long notes) felt spontaneous and exciting, and those sections with words were witty and moving. There were moments of intense quiet and moments of loud, exuberant swing. 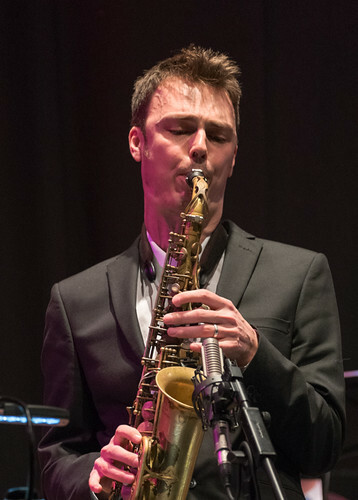 Alyn Cosker couldn’t make the gig (he’s touring with his own band) so Tommy Smith called on Sebastiaan de Krom to fill the drum stool: this meant that the SNJO’s rhythm section contained all of Smith’s regular quartet (with Pete Johnstone on paino and Calum Gourlay on bass). Johnstone played some powerful solos, as did Smith. 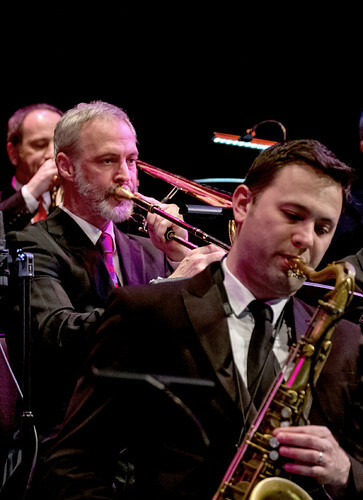 This was a tremendous performance: the SNJO was on excellent form. And we got to take it home, too: earlier in the year the SNJO recorded the piece with Jurd and Arabatzi (but not de Krom) for release in the near future. The second half comprised the music of Mary Lou Williams, spanning about fifty years of composition. Using her own arrangements, this seemed more standard, swinging big band fare. Another guest (and regular collaborator) Brian Kellock took over the piano stool, and Arabatzi came back for a couple of numbers, including a very light hearted In the land of Oo-Bla-Dee (written for Dizzy Gillespie). 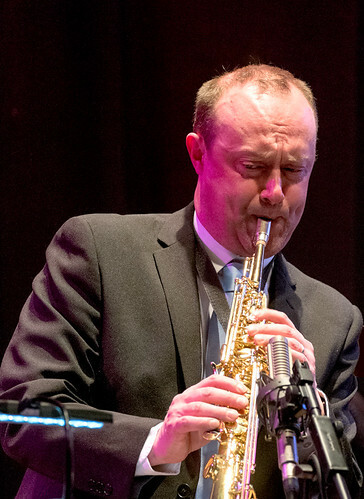 This entry was posted in Jazz and tagged Brian Kellock, Calum Gourlay, Kenny Wheeler, Laura Jurd, Peter Johnstone, Sebastiaan de Krom, SNJO, Tommy Smith on May 13, 2018 by patrickhadfield.